Here we are at our most terrifying! BOL! Hello there, Love, Laugh, Woof followers! This is Jackson coming to you today from Mom’s computer. 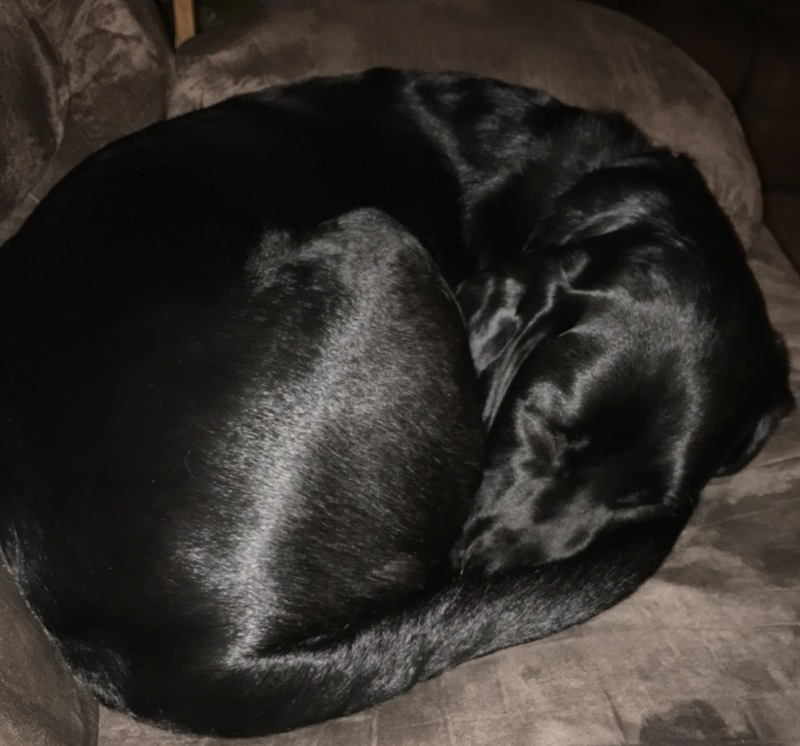 Tinkerbell and I have taken it over today to share with you our reasons that we black dogs are the best! 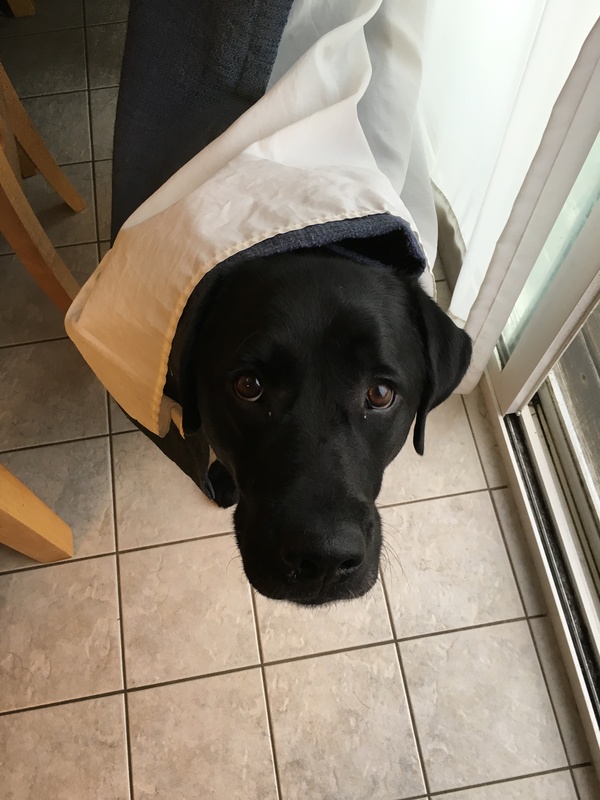 If you’re wondering how a couple of Labrador Retrievers can take over a blog, here’s how we do it: on National Black Dog Day we develop secret powers! Shhh! Don’t tell anyone else our secret. We shine like silk! Yep, that’s right, feed us good food and give us a brushing every now and then and our coats shine like no other color fur, especially here in Labrador world. We are more silky and soft to the touch than our yellow and chocolate relatives and our ears are like velvet when you rub them. Tinkerbell is so silky and shiny! If you’re like most humans, your wardrobe has lots of black, so you can play with us and then go out in public and nobody will know that you’re secretly covered in our fur! You can BOL (that’s short for bark out loud) at all of the extra hair you’re carrying around that nobody else can see…it’s like taking a little part of us with you everywhere you go! Black dogs are smarter than other dogs. We can’t quantify this with any specific research, but Mom says it, so it must be true. She is a little biased, though! You can see us in the snow. Momma always mentions this each winter, that if the days are going to be so short and dark that at least she can see us when we go outside to frolic in the snow. We love our snow zoomies so sometimes we are a black blur racing through the snowflakes! Our fur is easy to find! You won’t have to wonder if you’ve gotten up all of the dog fur before people come over, you can see it on the carpet and tile so you know your house is clean. You’re welcome. It’s fun to buy collars for us. Bright collars pop against our coats. Plus we go with anything! Black dogs are the new black! I’m pretty sure I heard them say that on one of Mom’s fashion shows on the TV. Our fellow black dogs need you! For some reason some people look right past the other black dogs who are out there and so they don’t get super awesome homes like they deserve. I think that’s so silly…who wouldn’t want a black dog?? Black dogs are the same on the inside as any other dog! Do Tinkerbell and I look scary? Well, Tinkerbell might (BOL) but I know I don’t! All joking aside, black dogs are just as sweet and loving as other colors of dogs even though our fur is darker! Is Mom more scary than our human sister because she has dark hair? See, isn’t that nonsense? Black dogs are silly, like when the curtains attacked me! Well, that’s all I have time for today. I see Tinkerbell eyeing the antler and even though I haven’t wanted to chew it all day I don’t want her to have it. So share the word, bark for awareness, and go and adopt a black dog today if you’ve got an opening in your home for another dog. 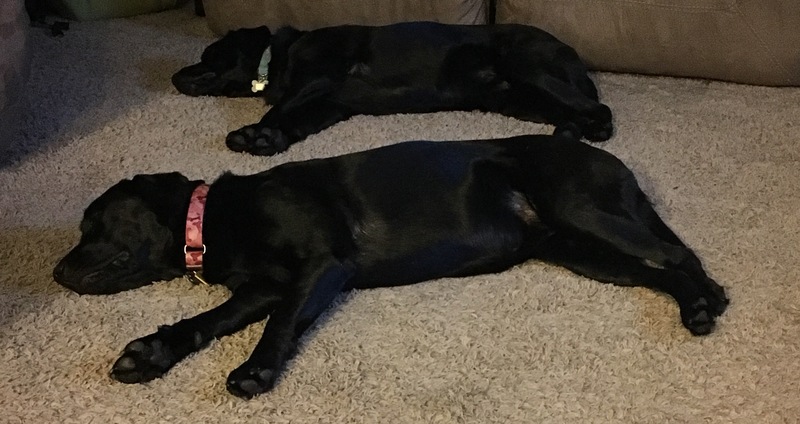 Tell them you got it straight from Jackson and Tinkerbell: black dogs are just as sweet, loving, friendly and all-in-all awesome as dogs with any other color fur. Hailie my black lab mix is so happy that there is a special day just for her! And her owner has black hair too!